Registered nurse certification in Minnesota is offered by the Minnesota Nursing Board, which works towards protecting and securing the health and safety of the people by regulating nursing licensure, education, and practice. Every individual who wish to practice nursing in the state must hold an RN license or temporary permit. The applicants may apply for RN license either by examination or by endorsement. Submit a non-refundable fee of $115.50 in the form of money order or cashier’s check. The fee includes $105.00 as application fee and $10.50 for eLicensing surcharge. 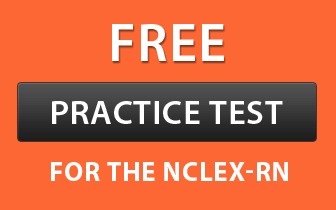 Pass the licensing exam, NCLEX-RN with a minimum score of 70%. The candidates must have no disciplinary action against them. Provide certificate of completion of nursing program from your nursing school. If any change in your application occurs like change in name, address or other information, send notification to the Board and provide legal documents verifying the change in information. Provide verification of licensure from your nursing school in Canada where you were originally licensed and your current U.S. state/jurisdiction where you are licensed currently. If you have never been licensed in Canada, provide official transcript from your nursing program to the Board. Submit CES (Credentials Evaluation Service) professional report to be sent directly from the CGFNS (Commission on Graduates of Foreign Nursing Schools) to the Board. TOEFL (Test of English as a Foreign Language): The acceptable minimum scores are 84 with speaking score of 560 (paper), 220 (computer-based), or 26 (internet-based). IELTS (International English Language Testing System): The acceptable overall score of 6.5 with a minimum of 6 in all modules. MELAB (Michigan English Language Assessment Battery): The passing score of 81 with speaking section score of 3. Submit a non-refundable fee of $115.50 which includes $105.00 as application fee and $10.50 for eLicensing surcharge. The fee must be paid through money order or cashier’s check. Submit verification of licensure from the state, or territory in which you are currently practicing as a registered nurse. Note: If the state in which you were licensed originally is same as the current state, you must submit only one verification. If you need to take a refresher course or need to report continuing education, request the Board to provide the letter. You may request for a temporary permit on the application form to continue your practice. For acquiring Minnesota licensure by examination, the applicants must follow the given steps. After receiving the ATT (Authorization to Test) by the testing service via e-mail, schedule and take the test within 90 days. Upon approval of all the documents, the license will be issued in approximately 10 business days. The applicants licensed in another U.S. state or territory by examination, may apply for Minnesota licensure by endorsement. The procedure is given below. Download the application form using the following link and return it to the Board office with the required documents. When all the required documents are approved, license will be issued. The applicants may request for verification of their licensure by using the following link, if their respective state is enlisted in the Nursys website. To continue nursing practice, all RN licensees in Minnesota are required to renew their license in every two years. They are required to complete 24 contact hours of nursing education during a period of two years (24 months). Use the below link to renew your license. The applicants may check the status of their licensure by following the below given instructions. After this, select the “Applicant” and enter the required details, i.e., your social security number, first name, last name, and password. Now click on the “Log In” button. On the next page, your personal information will be displayed. Click on the link that says either “Open Licensure by Exam” or “Open Endorsement” on the right side of the screen. After clicking on the link, the status of your licensure application will be shown.